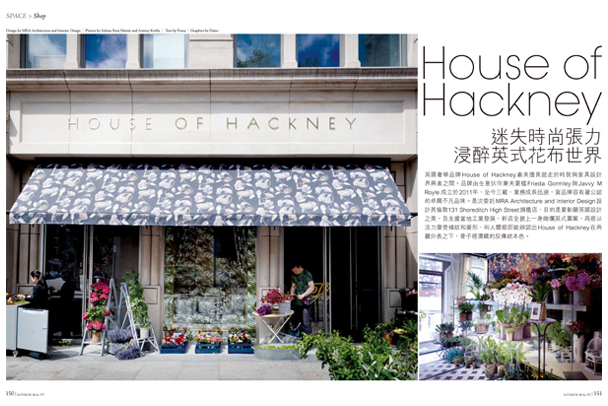 Continuing MRA's outstanding press coverage for the House of Hackney store in Shoreditch, this great project now features in the October 2013 edition of INTERIOR BEAUTE, the Hong Kong-based interior design magazine. 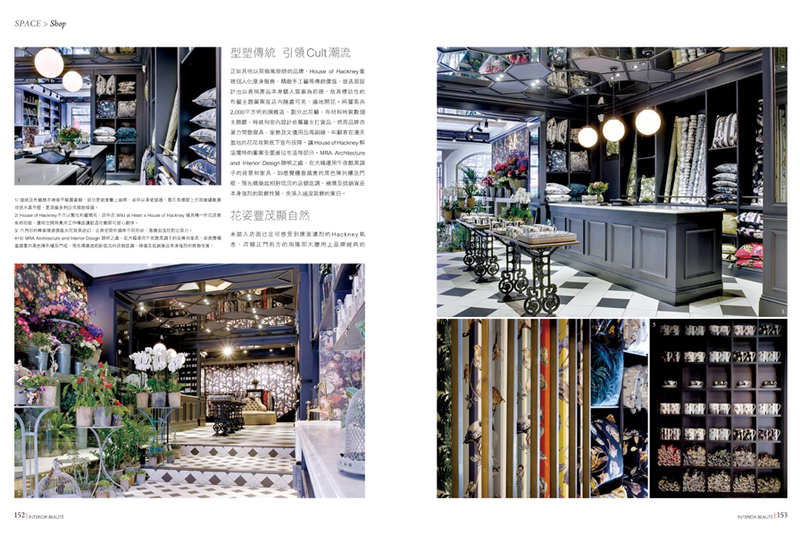 The store showcases the young brand's full product range, including fashion and interiors, in a destination showcase designed to embody the brand's playful, irreverent style. 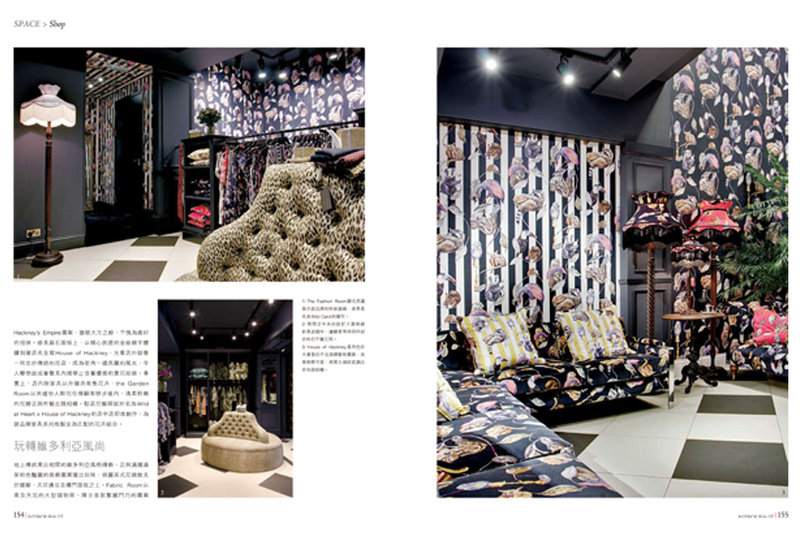 The dramatically dark shop fit highlights their statement prints, whilst intricate detailing reflects the quality of the merchandise. 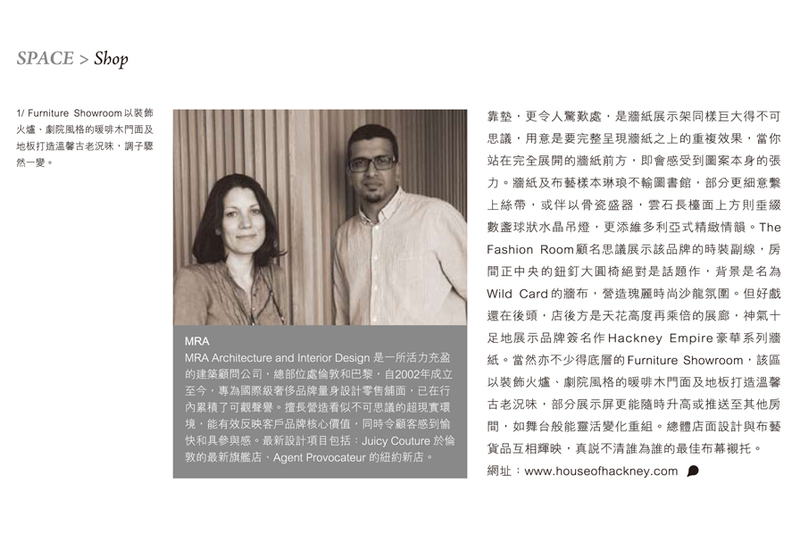 This project has been nominated for Best Retail Space in this year's FX Interior Design Awards.